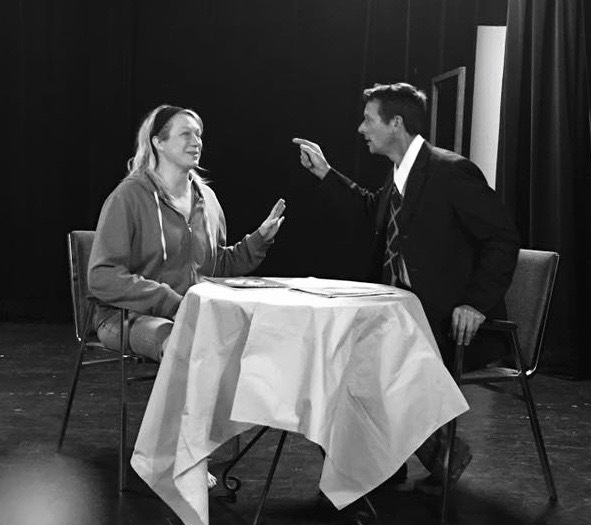 So far Alison Colwell has created 253 blog entries. Summer is seaweed season in the Pacific Northwest. On Galiano, we are literally surrounded by seaweed. It’s a wild, sustainable, delicious local food source that is both nutritious and delicious. These days it’s enjoying a reputation as a ‘superfood’, but coastal cultures included seaweeds in their traditional diets long before it was trendy. If you’re interested in harvesting our local seaweeds, you might be wondering how to learn what kind of seaweeds you’re likely to find on our coast, where and when to collect to make sure that your harvesting impact is sustainable, how to preserve it and how to prepare it to eat. While a license is required to harvest seaweed for commercial use, individuals can hand harvest at low tide without a license (though not at Montague as it is against the terms of the park’s foreshore lease). The Food Program is excited to host a workshop this month that will get you started. 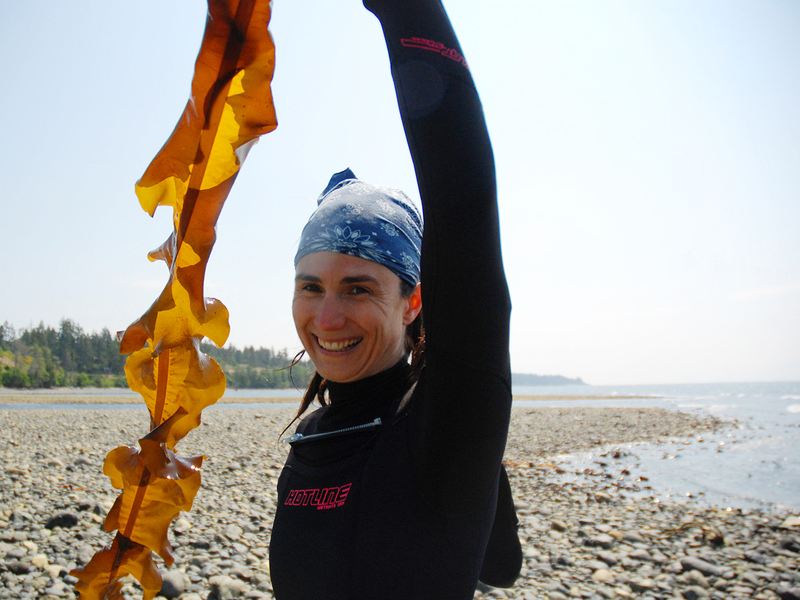 Amanda Swinimer operates Dakini Tidal Wilds in Sooke, BC, which sells hand-harvested seaweeds for food and medicinal uses. She holds a BSc in Marine Biology from Dalhousie. Amanda teaches people about seaweeds in schools, colleges and universities, and leads workshops in communities. Amanda is passionate about sustainable harvesting. Her seaweeds are ‘pruned’, leaving the rest of the seaweed to continue growing, and only when seasonally appropriate. Join us on Sunday, June 10, at 9:00am for a hands-on session at a local beach at low tide, followed by further instruction at the South Hall. 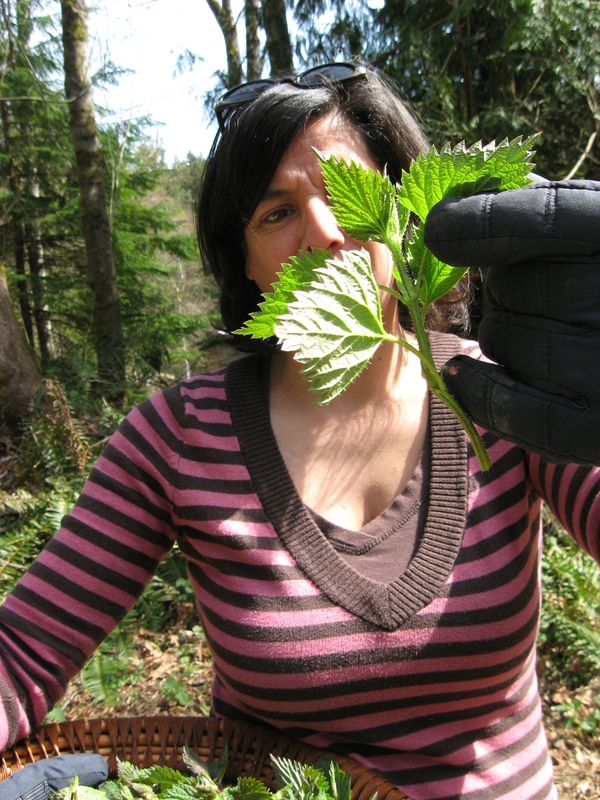 Amanda will cover species identification, sustainable harvesting, and incorporating seaweed into your diet. There was a robust Japanese charcoal making industry going on in the Gulf Islands in British Columbia before and after the turn of the 20th Century. Charcoal was used in B.C. mainly for the salmon canning industry as a heat source to solder the tops of the cans after boiling. Charcoal was also needed in the explosives, blacksmith and soap making industries. However the story of Japanese Charcoal Pit Kilns begins with the story of fire. In the beginning all animals were afraid of fire. The fossil of Lucy, Australopithecus, one of our most famous human ancestors is from 3 1/2 mya (Million Years Ago). Lucy was found in Ethiopia, in a beautiful rift river valley flowing below the Ethiopian Highlands out to the Gulf of Aden. This would have been a lush forest environment to live in with lots of water. Lucy and her little band walked upright (Homo Erectus ). These early hominids would have definitely seen lightning and fire yet there was no need for a fire since they were living 10 degrees above the equator. Over the next 2 million years the earth would transform into the last great glacial ice epoch. Imagine, that there was so much snow and freezing temperatures that our entire country of Canada, along with some parts of northern United States would have been one great glacial ice field, 3 kilometres thick. Across northern Europe, Russia, China, and India there were large glacial fields and ice rivers in the mountains of Asia and Africa. Thirty percent of the planet covered in ice and the permafrost extended another 100 to 200 kilometres from the glacial edge. The shore lines would have been 120 feet lower. Glaciers drastically changed our planet! All animals and birds throughout this time would have been migrating out of the mountains and forests closer to the equator for warmth. Turkana, the largest dessert lake in Kenya, a country contiguous to Ethiopia, is a treasure trove for archaeologists. They discovered varieties of Homo Erectus, from 4 mya to 1.9 mya. During the period of 1.9 mya these hominids were “flintknapping” to make stone tools and building shelters. Turkana Boy, KNM-WT1500 is another famous Homo Erectus fossil 1.5 mya . He looked far more human than ape with a larger brain and a skeleton that was 40 % human (Homo sapien sapiens). These varieties of Homo Erectus lived in the middle of the last glacial era. Homo Erectus at this time was attracted to fire for its magic, power, energy, light, warmth and for roasted foods. They would have followed it, watched it and poked it with sticks like little children playing at their first campfire . Homo Erectus befriended fire and it became their protector from wild animals. They also discovered fire could be transported by carrying charcoal embers from one place to another eventually determining which wood made the hottest and longest burning charcoal embers for travel and migration. In South Africa, inside the “Wonderwerk Cave”, there is clear evidence that fire and roasting of food had taken place a million years ago. It was probably at this time that Homo Erectus learned how to make fire by using the “flint /spark percussion” method, with flint and marcasite (a type of orthorhombic pyrite FeS2). It is still unclear when the discovery of the “friction” method, for making fire occurred. All these discoveries of controlling, transporting and making fire were momentous for the future of human evolution. These were the first stepping stones toward culture and populating the earth. It is interesting that all the ingredients necessary for an oven/kiln are present in every environment: wood, air, fire, charcoal embers, stone, sand, clay or mud. The camp fire, the fire pit or ring became the hearth and all of these are the first great structural embodiment and symbols of “home”. “A cave” with a fire was a “home” and such gathering places providing a safe refuge for cooking, eating and sleeping. Over the next 850 thousand years, telling of stories, music, art and religion would evolve from leisure time around the hearth. Varieties of Homo Erectus would transform into varieties of Homo Sapiens with fire as a central ingredient for their survival . Humanoid Migrations were already taking place at 160 to 75 thousand years ago and were spreading further throughout Africa and into the Middle East, Asia, India, South East Asia and China, following the coastlines as the glaciers retreated. Around 60 thousand years ago, there was another “Great Warming” and by 35 thousand years ago there were Homo Sapiens migrating deeper into all parts of Europe, Asia, China, Australia and Japan. Homo Sapiens, Cro-Magnon and Neanderthals were all roaming and looking to caves for dwellings. The Bering Land Bridge opened up at around 30 thousand years ago allowing Homo Sapiens of different ethnic groups to follow a new migratory route across and down through to the Americas. Another treasure trove of prehistoric artifacts dating back roughly to 29000-22000 years ago was found in the Czech Republic in the middle of Europe. Dolni Vestonice and Pavlov were two sites close together by a stream bed that had a clay base. Dolni Vestonice had six yurt tepee-like structures each with a small hearth.There was also a large community structure with several small hearths and in the middle of the settlement was a large central hearth.The entire settlement was surrounded by a fence of mammoth bones. Archaeologists discovered art objects in abundance, thousands of pieces of fired clay animals and figurines. There were carvings of bear, wolf, fox, reindeer, horse, lion, rabbit, mammoths plus human female and male figurines and other sculptures in bone and wood. An exciting find on the Pavlov site were the remains of the first potter’s “covered oven kiln” for baking clay. It was found inside a lean-to shelter that was dug into the embankment of a near by stream. Then a spectacular discovery on the Dolni Vestonice site where archaeologist found evidence of the first earth dome “slope kiln” and a potters hut, dug into the side of a hill with thousands of broken shards lying around. Japan was connected to the continent through several land bridges prior to 15,000 years ago. This allowed for the migration of people to Japan around 35,000 years ago. Japan’s first clay fired pots belong to the Jamon culture. At the Odai Yamamoto 1 site in Sotogahama archaeologists discovered “earthenware pottery” and other artifacts from 16,500 years ago. During the beginning of the Jamon period in Japan the open fire method was used to fire pots. Between 8,000 to 6,000 years ago, different sizes and designs of pit kilns /ovens began to appear. The reason for these new designs was the discovery of how to smelt copper out of rock using a high heat. The new kiln technology measures about 3 meters high with a complex ceramic dome structure. There are six holes, three on each side of the dome for loading the wood inside and for controlling the heat. In the 1870’s AD migrations of Japanese came to the Gulf Islands of British Columbia Canada from the Wakayama prefecture and they brought with them the skill of charcoal making. There are fifteen known charcoal pit kilns on the Gulf islands, 5 on Galiano, 5 on Mayne , 2 on Salt Spring, 3 on Saturna : and unconfirmed rumours of charcoal kilns on Pender and Prevost Islands. All of these charcoal pits were “dug into a slope” lined with a rock wall and a dome created for a top. All the pit kiln sites would have had a shed roof over the entire mound to protect it from the elements. On the Gulf Islands there are three different distinct designs of charcoal pit kilns. Salt Spring and Mayne Island each have a large “oval” pit kiln. These measure 6.2-meters wide, one and a half meters high, 3-meters long, with a 1-meter long, wide, high entrance. Evidence from the Salt Spring Island dig of 2015 proved that this oval kiln had a ceramic top of sand/clay 5 – 7 inches thick . A dense charcoal layer was found six inches below the surface material outside the entrance of the kiln. This layer covered a 5 meter arc around the front of the kiln which suggests that the charcoal had been raked out of the kiln at the end of the smouldering process. In Japan today this method of raking out the burning charcoal then smothering it in a fine ash is used to make the famous Bincho-tan white and black charcoal. Another kiln design is what I call the “tear drop” shape. This design is similar yet larger than the oven/kiln found at the Dolni Vestonice site 20,000 years earlier. It measures 6-meters long , one and a half meters high, 3 metres wide with a 1meter long, wide, high entrance. In the photo below one can see a central air outlet for the smoke . A meter to the right and left of the central outlet and half way up the wall are two holes made for chimneys that go up inside the rock wall. These two flues were a new technology added to this kiln design after the Japanese had arrived.The idea probably evolved from the Japanese working together with the west coast settlers. There are 10 of these tear drop shaped charcoal pit kilns in the Gulf Islands. The smaller tear drop shaped kilns had a sand mixture for a dome top not ceramic. There was also no evidence of a charcoal layer beneath the surface material outside the kiln. The charcoal was not raked out at the end of the process but remained in the pit, until the smouldering died out from the lack of oxygen after the flues were covered. The charcoal was loaded carefully from inside the entrance of the pit. There is another amazing design of a circular shaped pit kiln on Mayne Island. It is 3-meters high and 4-meters in diameter. I would like to thank Mary Ohara, Rose Murakami, Salt Spring Island Garden Society, the B.C. Wakayama Ken Jin Kai and the Sumiyaki no Kai (Japan Charcoal Fuel Association): without their support, perseverance and determination in promoting the history of the charcoal pit kilns on the Gulf Islands this history would have been lost. The Canadian Census of Galiano Island in 1901 lists 14 Japanese wood cutters and 9 Japanese charcoal makers. The restorations of the Japanese charcoal pit kilns on the Gulf Islands have become memorials, testaments to the strength, courage and ingenuity of these new Japanese immigrants to Canada. This article is dedicated to all those Japanese woodcutters and charcoal makers. This year the Picnic is scheduled for Sunday September 9th, 2018. The Zucchini races will feature prominently again this year, and the Pie Competition and the Annual “Kids vs. Adults” soccer match, plus the famous Tug O’War. 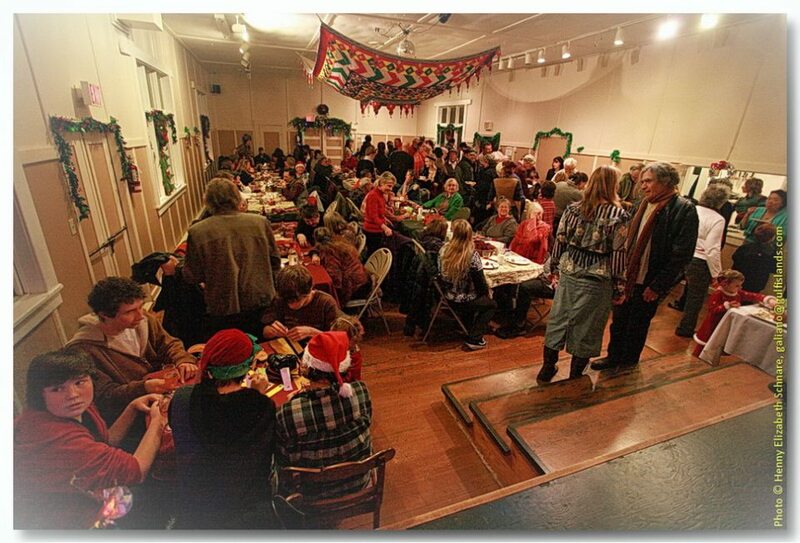 In August 2006, the Galiano Club applied for and received funding from the Vancouver Foundation to upgrade the South Hall kitchen with a view to establishing a Food Program. We had no clear idea of what it might be, how a food program would be received or where it might lead. Some of the concerns identified at the time were that, as an island community, we were dependent on ferries for almost all our food, that we were at risk of losing the skills of previous generations of growing, foraging, canning and even some food preparation. At that time quite a few of our residents were living below the poverty line and struggling to have enough food. There also was a rather vague idea and hope that we might be able to bridge some of the divisions in the community through food. 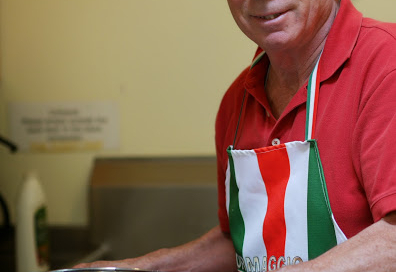 Ten years ago this month the Galiano Club received confirmation of grant funding from Vancouver and Victoria Foundations to start a Food Program. We reached out to the community to establish an advisory committee and job descriptions. Janice Oakley and Martine Paulin were our first part-time Coordinators and became the face of the Program. They set high standards of creativity, community involvement and integrity. In addition to Janice and Martine, we have been fortunate to have had some outstanding people work for the Program – Nicole Mouner, Genny Stirling, Alison Colwell, Emma Davis, Barry New, Colleen Doty and Janna Feldman. Alison Colwell is now the part-time Manager and Emma, Barry and Janna are part-time Coordinators. The Program would not have grown as it has without all of their skills and commitment and without the tremendous support from the community as teachers and mentors, participants, land lenders, evaluators, funders and donors. 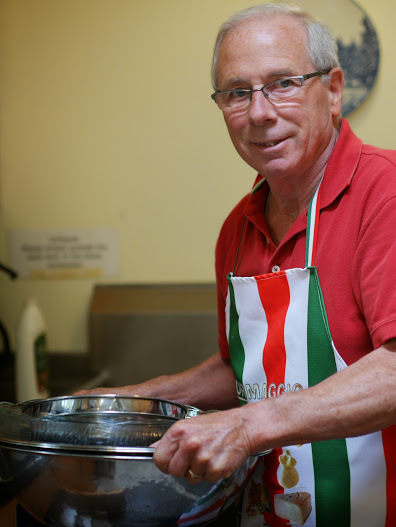 Looking around on a Soup and Bread day, at a Games Night, an elders’ and kids’ luncheon, the annual Winter Solstice Dinner, at Nettlefest, the Community Picnic, at food activities at the School and in the School Garden, it seems like some new traditions have been established. The Community Greenhouse, the Garlic Growing Co-op and Gleaning, the Stock Up Market, the thriving Saturday Farmers’ Market and the new farms are all indications of real growth toward island sustainability. Seeing the different ages interacting and people from all parts of the island connecting through food, it feels like the Food Program has been a catalyst for some good things in our small community. It has been a wonderful voyage and the journey continues. Thank you Galiano! 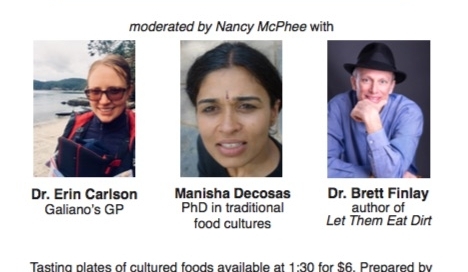 • Fermented foods are part of traditional food cultures from all four corners of the globe? 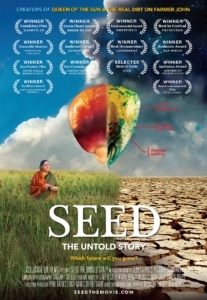 Manisha Decosas wrote her PhD thesis on the negative impacts of the Green Revolution on crop diversity, soil, water, and seed security in India. 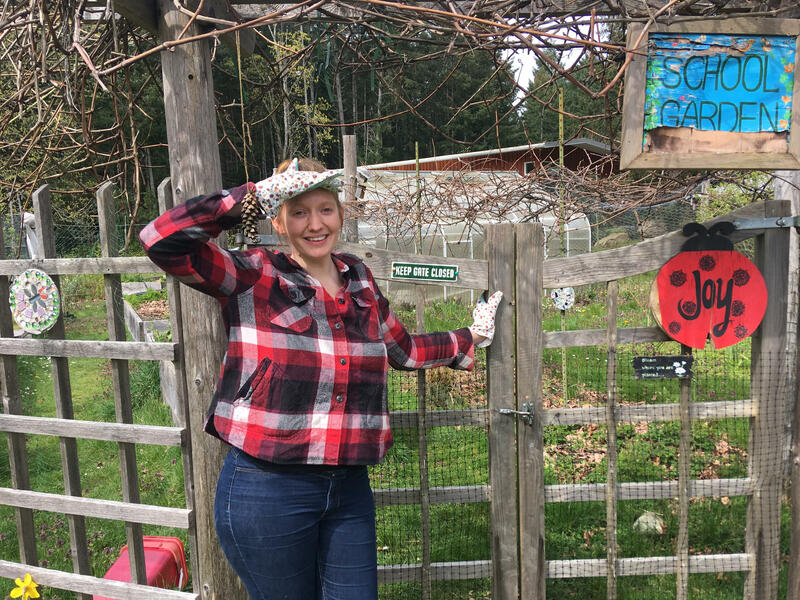 She studied grass roots food sovereignty efforts and how they can transform both farming and policy. Her research also includes work on the many values of traditional food cultures, both nutritionally and socially. Manisha has lived on Galiano since 2010 where she has taught yoga and commutes to teach Women’s Studies at Langara College. Dr. Brett Finlay is a professor of microbiology at UBC, and author of the book Let Them Eat Dirt, which explains how an imbalance in the microbes in children’s growing bodies can lead to chronic health conditions. His work also includes the effects of bacteria on aging. He spends quite a bit of time on Galiano and is known locally for his love of trails and jazz music. 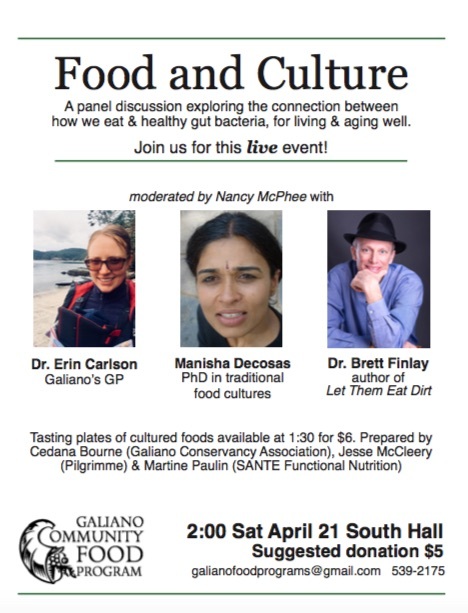 Just before the event, join us for tasting plates of gut- friendly foods prepared by Cedana Bourne (Galiano Conservancy Association), Jesse McCleery (Pilgrimme) & Martine Paulin (SANTE Functional Nutrition).